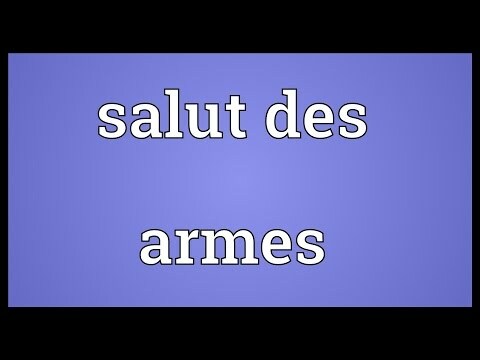 What does Salut Des Armes mean as a name of something? [fencing] A sort of a choreographed demonstration of arms, consisting of sets of fencers saluting, attacking, parrying, drilling and performing set routines in chorus. Go to the wordplay of Salut Des Armes for some fun with words!